M.T. Towns, A.G. Attard, A.J. Obaje (E. Zammit), P. Dordevic, S. Harland, A. Attard (N. Camilleri), M. Bamba, A. Touarha, R. Grech, D.U. Monday, G. Cardona (J. Buhagiar). J.P. Cassar, P. Parnis, C. Debono (C. Bugeja), J. Grima (M. Debrincat), P. Curmi, L. Garcia Panesso, M.M. Uzor, J.J. Sandobal Guarin, G. Muscat (S. Dimech), S. Muscat, B. Polo Longarela. SK Victoria Wanderers obtained qualification to the semi-finals of the Knock Out competition for the first division with a handsome win over Munxar Falcons. The match was well contested for most of the first half but the Wanderers recovered well and gained confidence after the break and ended up dominating over their opponents. Muxnar had an excellent start and scored and early goal but failed to capitalize form a good moment so that the Wanderers turned the result in their favour before the end f the first half and scored three more goals during the second period to earn a deserved qualification. The Wanderers had a good opportunity to open the score in the second minute of play but a free kick by Predrag Dordevic was saved by goalie John Paul Cassar. Munxar opened the score less than a minute later when Leiner Garcia Panesso entered Victoria’s territory through a personal action and released Borja Polo Longarela who netted with a low shot aimed to the far post. The Wanderers replied on 18 minutes through a shot form an angled position following a personal action that was well saved by goalie John Paul Cassar. Minutes later Munxar were again dangerous through a shot by Leiner Garcia Panesso that ended just high and on 28 minutes the Wanderers leveled the score when Aud-Gustine James Obaje entered Munxar’s area with a personal action and placed in goal with a low shot. On 32 minutes the Wanderers protested for a penalty following a clearance by Munxar’s defense and on 39 minutes Victoria’s keeper Matthew Towns was called to make a good save to turn to a corner a shot by Matthias Michael Uzor. The same goalkeeper made another important intervention a minute later to save to a corner a strike from outside the area by Borja Polo Longarela. 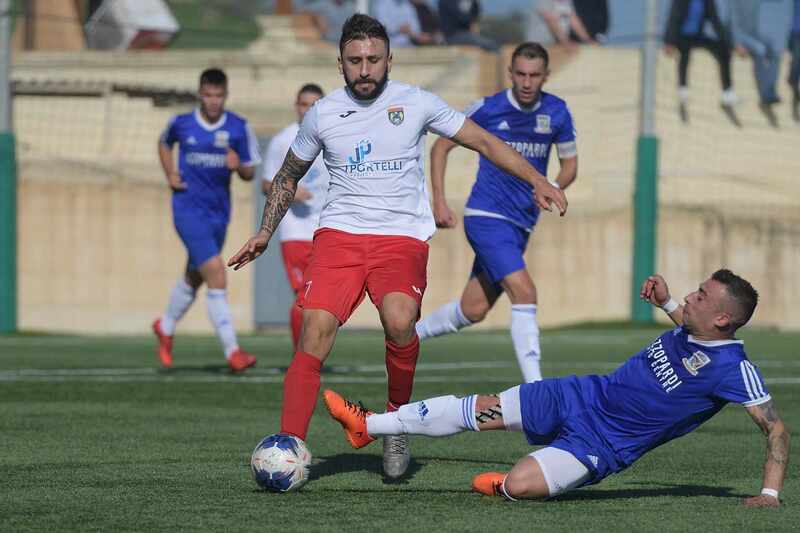 The Wanderers turned the result in their favour on 42 minutes when they were awarded a penalty for a foul by goalie John Paul Cassar on Sam Harland who tried to take the rebound from the goalkeeper who saved partially a low shot, and Predrag Dordevic converted from the spot kick. Munxar tried to produce a reaction after the break and on 48 minutes Victoria’s keeper Matthew Towns was well placed to neutralize a low shot by Leiner Garcia Panesso. On 53 minutes the Wanderers increased their lead when a cross by Sam Harland from the left flank was not cleared by Munxar’s defense and the ball arrived to unmarked Aug-Gustine James Obaje who placed in goal with a low shot. Munxar were shocked and on 59 minutes the Wanderers could ahev added another goal but a header by Sam Harland following a cross by Aaron Touarha was neutralized by goalie John Paul Cassar. Munxar replied on 65 minutes through a direct free kick by Joseph Grima that ended high and on 69 minutes the Wanderers increased their lead through a direct free kick by Aud-Gustine James Obaje that ended out of the reach of the goalkeeper. 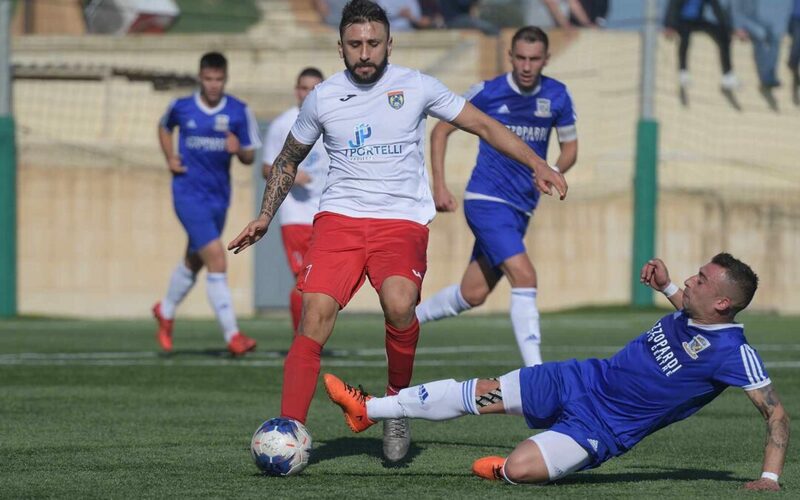 Munxar were demoralized and on 78 minutes the Wanderers scored their fifth goal when Munxar’s defense cleared badly a free kick by Moussa Bamba and the ball arrived to Aaron Touarha who fired in goal with a first timer. In the second minute of stoppage time the two sides were reduced to ten players when Victoria’s Sam Harland was sent off for a foul on Samuel Muscat and Munxar’s goalie John Paul Cassar was shown a second yellow card and sent off for leaving his position and pushing an opponent during the protests. In the fourth minute of stoppage time Munxar could have reduced the score but an attempt by Leiner Garcia Panesso was well blocked by goalie Matthew Towns.